The Dow Jones Industrial Average DJIA, -0.10% fell 27.53 points, or 0.1%, to 26,384.77 and the S&P 500 SPX, -0.06% dropped 1.83 points to 2,905.58. The Nasdaq Composite Index COMP, -0.10% shed 8.15 points, or 0.1%, to 7,976.01. 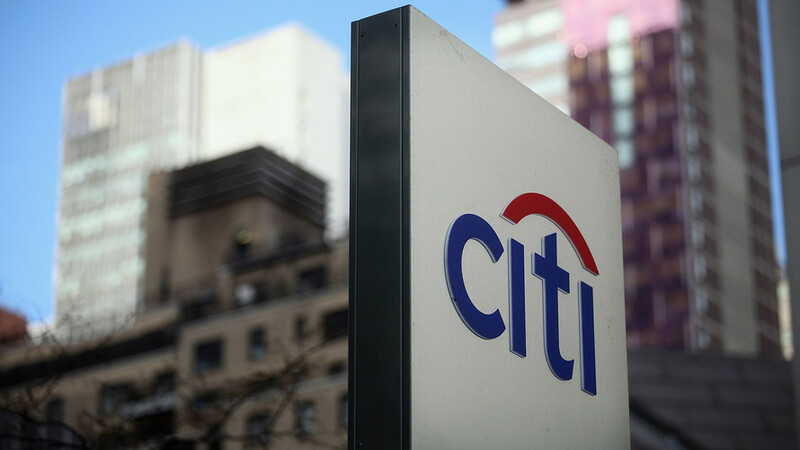 Goldman Sachs Group Inc. GS, -3.82% and Citigroup Inc. C, -0.06% reported quarterly results as earnings season gets under way, though the week will be shortened by the Easter holiday. Shares of Walt Disney Co. DIS, +1.52% rose 1.5% after Richard Greenfield, an analyst at BTIG and a longtime skeptic, upgraded the stock to neutral from sell. Shares of Advanced Disposal Services Inc. ADSW, +17.87% surged 18% after Waste Management Inc. WM, +2.43% said it entered into an agreement to buy the rival waste company in a $4.9 billion deal. Waste Management will pay $33.15 a share in cash for Advanced Disposal stock, a 22.1% premium to its Friday closing price. Waste Management shares were up 2.4%. Shares of Canadian legal cannabis maker Aphria Inc. APHA, -14.24% slumped 15% after the Canada-based cannabis company swung to a wide third-quarter loss in the most recent quarter. Alliance Data Systems Corp. ADS, -9.34% shares sank 9.3% following news that French firm Publicis Groupe SA PUB, +1.19% would acquire its consumer data unit Epsilon. The stock was also downgraded to market perform from outperform at BMO Capital. Stock markets in Asia closed on a mixed note, with Shanghai’s Composite index SHCOMP, -0.09% and Hong Kong’s Hang Seng Index HSI, +0.04% each losing 0.3% on the day. Japan’s Nikkei 225 NIK, +0.18% meanwhile, rose 1.4%. European markets traded slightly higher, with the Stoxx Europe 600 up 0.2%. In commodities markets, crude-oil futures CLK9, -0.14% retreated, while gold GCM9, -0.20% settled lower and the U.S. dollar DXY, +0.04% traded mostly unchanged.